"South Africans are well aware of how rewards programmes work. From our healthcare to our grocery shopping, we’ve all quickly cottoned on to the idea that we can be rewarded for certain types of activities and behaviour. We all live for rewards. Swiping = points. Gymming = points. Driving well = points. "But as popular as these rewards programmes are, they still don’t reward us for our largest monthly expense: property rental," says Sperling. The app is largely aimed at millennials – those aged 22 to 37 – which makes up a large portion of SA's renters. It's also unusual in the proptech sector because it focuses on the tenant rather than the landlord. "A few decades ago, people renting property typically tended to be between the ages of 21 and 25. After that, they’d usually settle down, buy a property and spend the rest of their lives paying it off. But in recent years, there’s been a huge social shift," he says. Millennials are renting for much longer than they used to – a group dubbed 'Generation Rent'. "The older generation may attach a social status to renting, but millennials don’t see it that way. 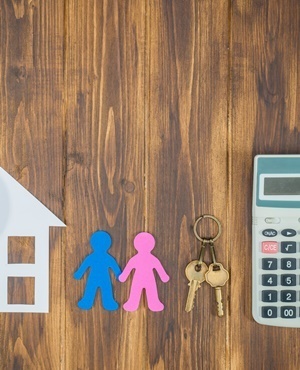 For one thing, the property market has changed, meaning that the price of property has put home ownership quite firmly out of most millennials’ reach. "The rollercoaster that is the South African economy doesn’t help much either. Millennials are therefore more interested in owning their lifestyle than owning their home," explains Sperling. "The world is more connected than before, so a lot of millennials are rather looking for opportunities to work and travel – and owning a property doesn't feature heavily in this plan." Rather, they want flexibility. It is co-founded by Sperling, Daniel Levy and Jonathan Liebmann, who are no stranger to start-ups: Sperling and Levy previously ran ad tech company Popimedia, which was among SA's most successful in the industry before being bought out by a French multinational in 2015. For his part, Liebmann is perhaps best known as the real estate developer behind Johannesburg's Maboneng Precinct, via his company Propertuity. Ultimately, the plan is to roll out Flow globally. "We want to get to the point where customers can use Flow anywhere in the world, as a kind of 'global rental passport'. With this view, credit checks would be rendered completely obsolete, because any landlord would be able to access that person’s rental data from the last five years," he says. "This would be particularly useful for Generation Rent, who want to work and travel internationally, particularly in foreign countries where securing a lease can be exceptionally hard without a credit history."